Mail Order Razors – Who’s Got The Goods? Mail order everything is wildly popular, and for good reason… price and convenience. Take razors for example. 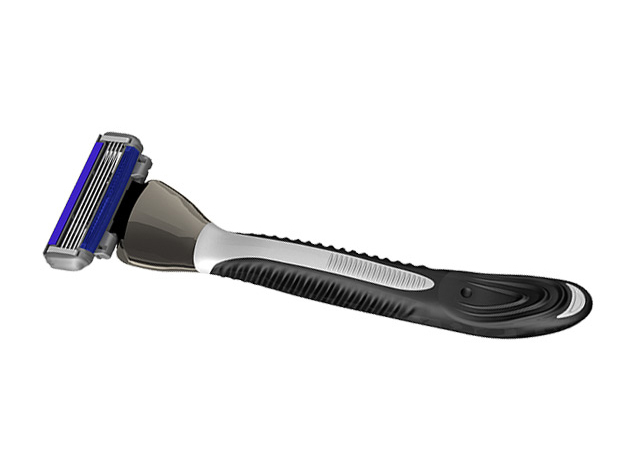 I mean come on, really, there’s only so much you can do to advance the technology of shaving with a razor blade. You still gotta drag super sharp metal blades across your face & body, so until someone invents blades that never dull, we’re all stuck buying ridiculously expensive refills. Let me do you a solid and tell you about a mail order company I’ve been using for almost a year, Shave Mob. You can select from 3-blade, 4-blade or 6-blade refills. All of the refills fit their handle, which by the way is very nice. It’s heavy without being too heavy and it has great non-slip rubber pads. Comparing price to Dollar Shave Club, Shave Mob is less expensive. Comparing to my old Gillett Mach 3, Shave Mob is like 1/3 the cost. My last order was for 8 refills and cost under $18 with shipping! That’s pretty hard to beat. Quality? It’s great. Like I said, I’ve been using them for almost a year. I’m still using the original handle and all the refills have been top notch. For what it’s worth, I use the 6-blade refills because I shave my torso and want multi-blade coverage. I don’t notice them getting dull any faster than the big name brands, so it makes you wonder why you’re paying the big brand name price. Guys, give them a test run and see what you think. I think you’ll be happy.